Regional Director of Business Development in our Naples/ Marco Island office. As a business development marketer, Rob brings to the Naples office experience in both operations and marketing. Rob is committed to the building of strong relationships within the community, he understands the value of our water, fire and mold service before, during and after a loss. If you suffer water damage in the Naples area, call us for a fast response. Business Development Operations - Robert brings 20+ years of project management and loss estimation experience to SERVPRO. “Bob” is a whatever it takes team member, also knowing the importance of service and excellence required for building a strong business. When not working, “Bob” reports to his best friend “Barney” a 136 pound blood hound. 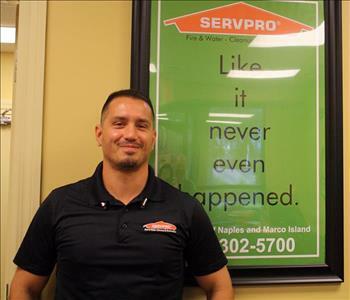 The Production Manager for SERVPRO of Naples / Marco Island is Dustin. He coordinates the workloads with our crews to ensure production schedules are met, and above all, our customers are satisfied having exceeded their expectations. Dustin is highly IICRC certified in many areas of fire, water, and mold restoration and remediation. He trains technicians, interfaces with our administrative staff and sales & marketing reps to guarantee a smooth start to finish service. Dustin is a valued member of our franchise team. 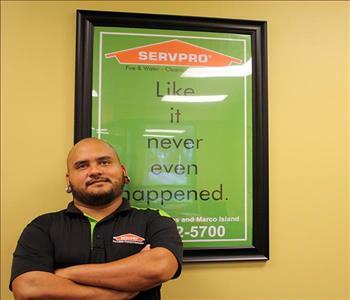 The production technician at SERVPRO of Naples / Marco Island is Ernie. 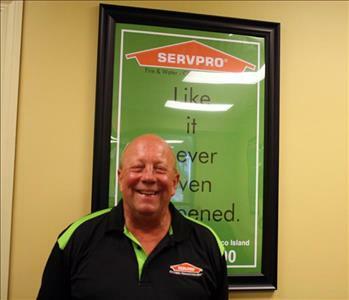 He is a top-notch technician and an asset to our SERVPRO family. 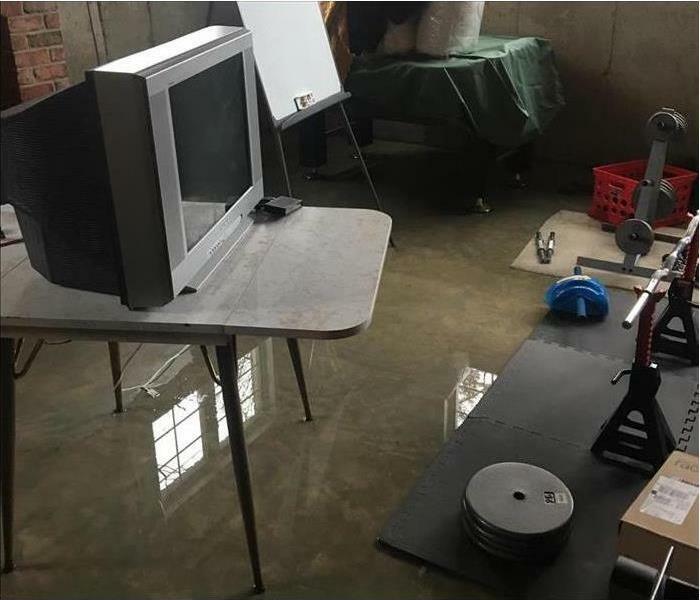 If your residential or commercial property in Naples has experienced a water damage emergency, you can count on Ernie to restore your property to pre-damage condition. 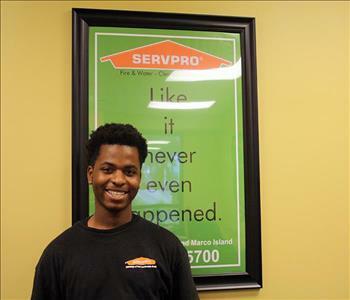 Hughes is the production technician at SERVPRO of Naples / Marco Island. 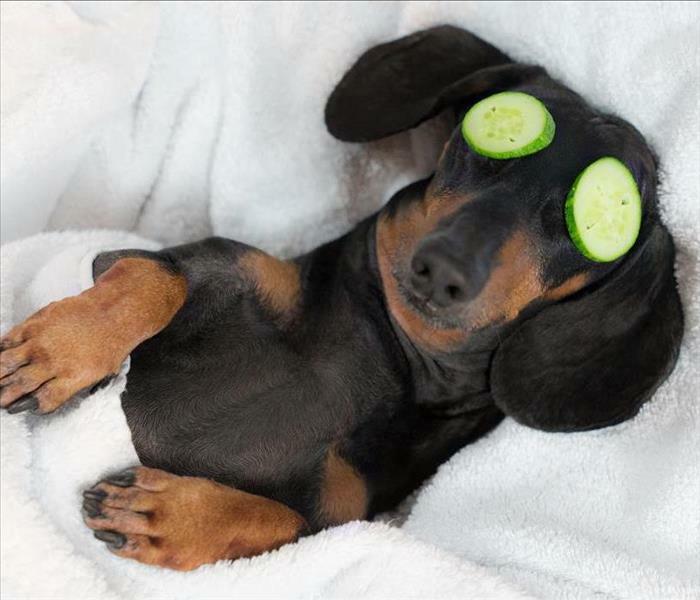 When it comes to fire and water damage, he is the best technician for the job! Hughes has the experience and knowledge needed to restore your Marco Island property to pre-damage condition.